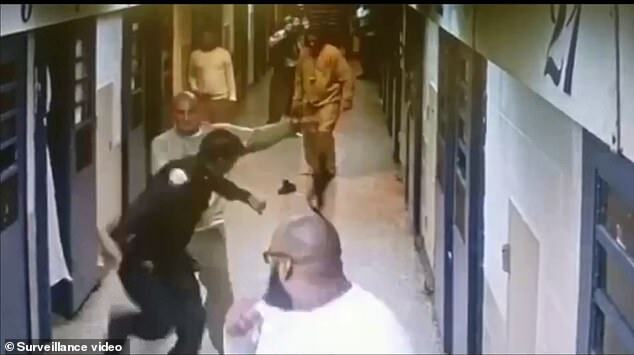 These are the shocking moments corrections officers were attacked by inmates at one of the worst jails in the United States on Wednesday. In footage obtained from inside the New York facility that floats in the East River between the Bronx and Queens boroughs – Rikers Island detainees pounce on guards in two separate incidents the day before the Thanksgiving holiday. One of the clips show a man walking up to the officer and punching him in the face with his right hand before following up the brutality with his left fist and going in for a third. 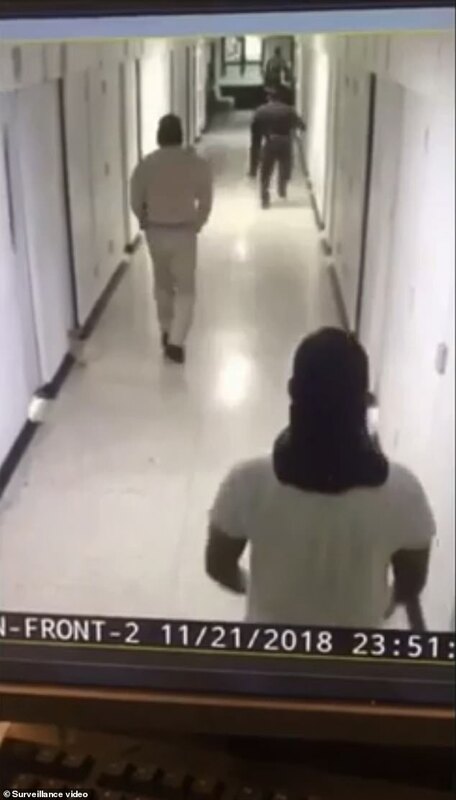 The incident occurred around 11.51pm and security video shows the jail mate chasing the worker down the hall. It’s not clear what happened next as the footage comes to a halt as other inmates follow the action. 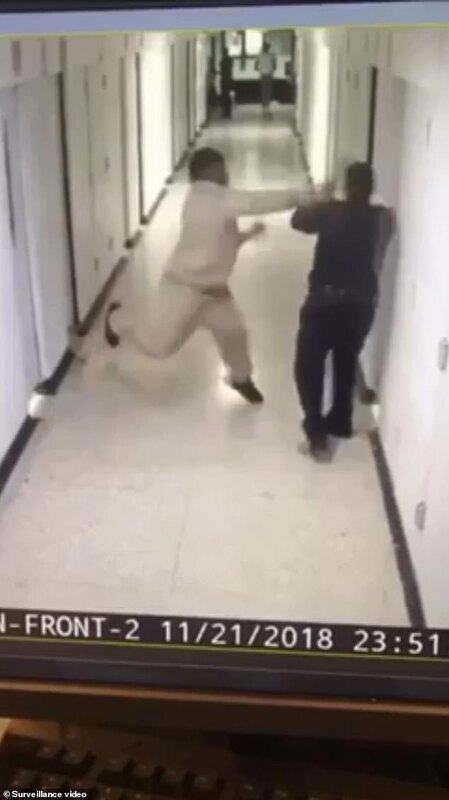 In the second surveillance video a different man pushes an officer against a wall in the corridor, choking and punching him in a position that limits his ability to escape. The member of the corrections team does however manage to break free, this time hitting back at the inmate, but the jailed man hit him twice more. Although they then appear to threaten to restart the altercation, both eventually walk away. It’s not clear whether the fights stemmed from earlier arguments or if it was a deliberate ploy to be moved to another area of the huge jail which takes up 413 acres. According to the New York Daily News, incident number three occurred with a jailed man attempting to hit staff at around 10.15am Friday. However the corrections officer ducks and takes him to the ground by way of gaining control of his waist. Corrections Department spokesman Peter Thorne praised the guards for showing restraint in the videos. 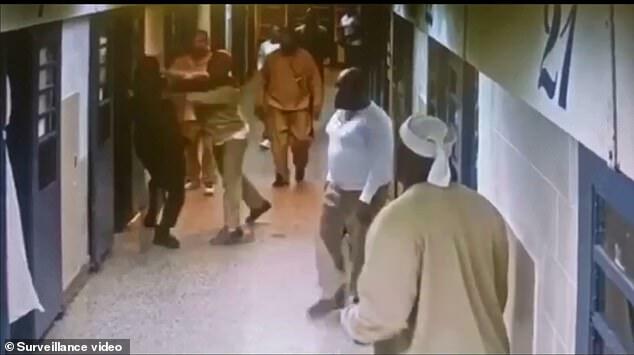 However a source told the publication that incidents like these are far too common and noted how inmates may be aware they can take advantage of guards because they’re told not to fight back. ‘This stuff is happening all the time now after the ‘culture’ change of defending yourself to being a punching bag for the department of confusion,’ a department insider said. He says at Rikers Island inmates outnumber guards 100 to one. Those under 21 are no longer allowed to be placed in solitary confinement in New York City. Husamudeen doesn’t agree with the call by Mayor de Blasio that came in 2015, despite the mayor saying in July this year he was somewhat relaxed about the rule and approved of occasionally putting those underage in isolation. A big reason for the ban on solitary for youngsters whose brains have not fully developed, was inspired the story of Kalief Browder who died by suicide in 2015 after trying to start a new life for himself once he was cleared of robbery charges in 2013. From 2012, the Bronx teenager spent three years with no other human contact while he was stayed in jail on suspicion of stealing a backpack. As a jail and not a prison, Rikers Island – where Browder spent a significant amount of time – is only supposed to hold inmates for up to a year while they await trial. Browder’s family could not afford the bail money when he was initially arrested and his trial date was constantly pushed back, forcing the boy from a low-income family to remain locked up. 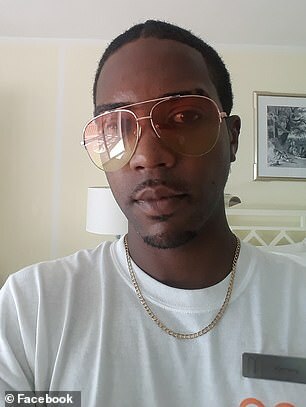 The solitary confinement stemmed from Browder becoming involved in fights with officers, some initiated by himself and others seemingly an attack from the guards’ side. By the time the youngster was free, the damage had already been done and he badly suffered from depression which led to him taking his own life. He had attempted suicide six months after his jail release date and other times at home. Officers are under strict instruction not to fight inmates but the rules are not always followed which adds to the bad reputation of Rikers. 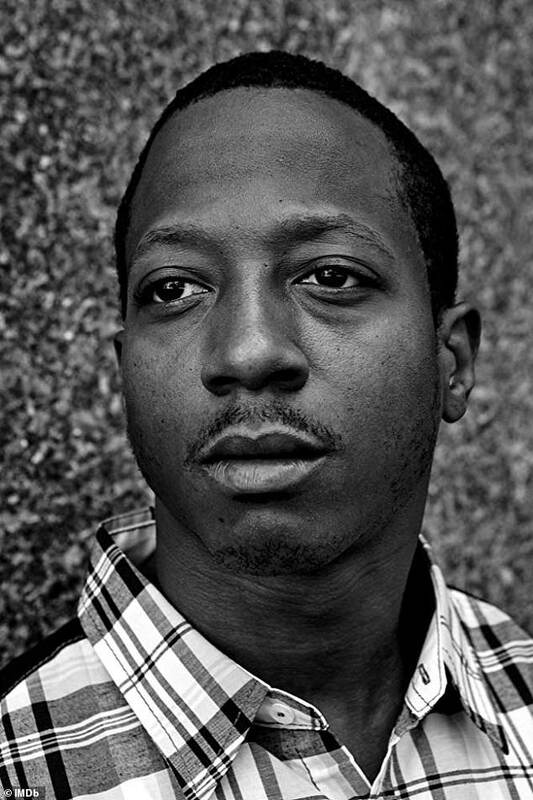 After Time: The Kalief Browder Story was aired in 2017 on Netflix there have been calls for the facility, believed to house 10,000, to be shut down. 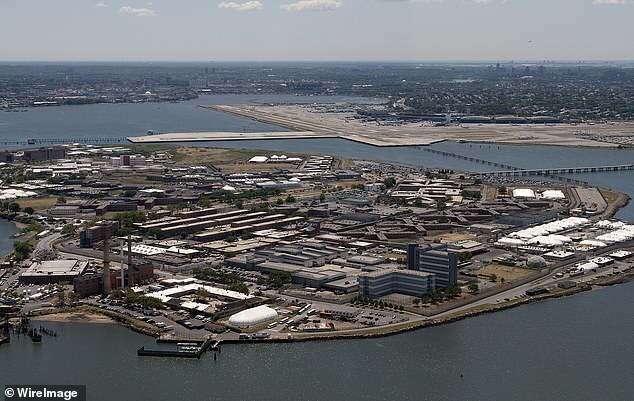 At Rikers Island about 85 per cent of the inmates have not been convicted of a crime and are either being held on bail or remanded to custody, according to the City of New York. Like Kalief, at least 1,500 people locked up at the over populated jail have waited more than a year for their criminal trials to begin. The Post reports an independent monitor found that violence in the Department of Correction hit an all-time high in January. Guards used force in a whopping 550 incidents. Next Post:Viagra: Wonder pill or love poison?